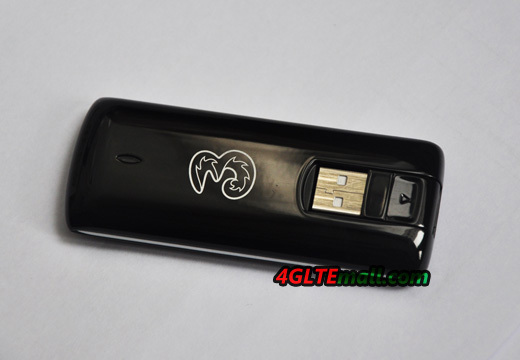 ZTE had release many 4G modems, such as ZTE MF820, MF820D, MF821, MF821D, MF820T, MF820s2 and MF880 etc.. And many 4G mobile WiFi are available now on the market. 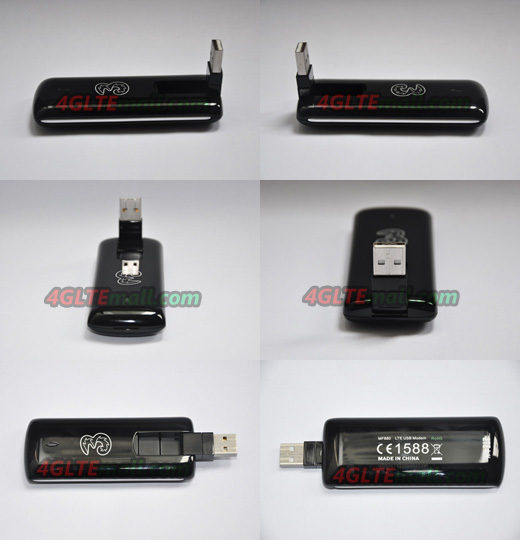 Today, we get the ZTE MF880 4G Modem and we will show the details for readers. 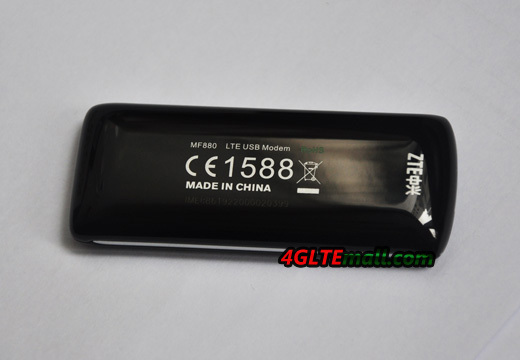 Hope you will know more about this modem ZTE MF880. The ZTE MF880 is with logo “3”, which means it’s customized by the UK operator “3”. 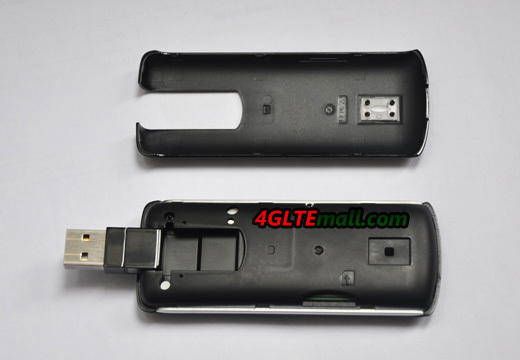 Like ZTE MF820, ZTE MF880 also has a rotatable USB interface; the USB could be hidden in the body of the modem. And beside the logo, there is a small indicator in oval shape, which will help users to know more about the connection status. On the back, the model number MF880 is printed on this modem. With the model number, there is CE number, RoHS mark and below them is the IMEI number of this modem, which is on behalf of the modem’s ID. The IMEI number is printed on the back cover, unlike ZTE MF820, whose IMEI number is on a extra stick. And it also show the original produce place “Made in China”. ZTE also print its brand with this mark. Beside the indicator, there is a little cap to open the back cover of ZTE MF880. But you may take effort to open. At this point, the modem is not user-friendly. The cover is very tight. After opened the modem, you can find the SIM card at the side of the body. But there is no slot for memory card. And it’s a pity that it also doesn’t have even one external antenna connector. In 4G LTE technology, the MIMO connection is one of the most important features for high speed data transmission. So unlocked ZTE MF880 could support all the operators who had launched Band 20, band 7, band 40 or band 38. 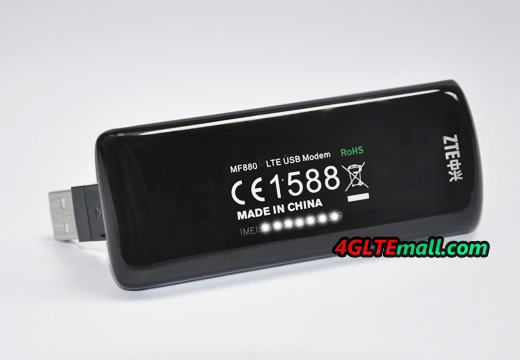 ZTE MF880 should be one of the LTE modems which could support TDD and FDD simultaneously. If you want to buy unlocked ZTE MF880, welcome to land www.4gltemall.com .